Puzzled By Your Office's Technology? Our Best Practices will point you in the right direction. Managed IT services from RCG make your business run better. Protect your critical data with our on-premise and cloud fully managed solution. Never worry again about the security of your IT infrastructure. Our industry best practices prepare your IT infrastructure for any audit. We manage your IT, so you can manage your business. Detect Compromised Credentials Used to Exploit Employees and Customers. 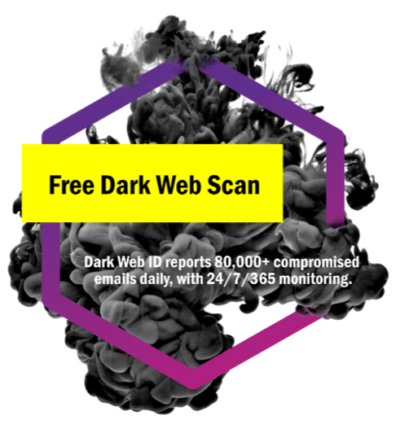 To help keep your critical business assets safe from the compromises that lead to breach and theft, we are offering a complimentary, one-time scan with Dark Web ID™ Credential Monitoring. Look what we have been up to! RCG RANKED 3rd in the world! RCG was ranked 3rd on MSPMentor’s prestigious Top Small Business Managed Service Providers list for 2017. Rouse Consulting Group CONSISTENTLY outperforms our expectations. They are the most customer service focused and results oriented vendor partner I have worked with in my 28 years of Vendor Management experience. I will always go out of my way to recommend RCG because they always go the extra mile to make sure our business is functioning with respect to utility, efficiency and compliance. You need to know RCG! Rouse Consulting Group, Inc is a professional company that delivers results on time and are of great value. I highly recommend them. Great outsourced IT solution for service and technology needs for our small business. RCG has a knowlegeable friendly staff, who respond to any needs that arise, and are fairly priced for the level of service you receive. Rouse Consulting Group is a friendly and professionalteam who works hard to insure our systems are running properly with the protection we need. They respond quickly to any issues we have with the expertise to properly deal with the issue in a timely manner. Rouse Consulting Group, Inc are an impressive teamwhich delivers on their promises and are stand out performers in the Managed IT Support Provider sector. Rouse consulting group has great people who are professional, very knowledgeable and I believe experts in their field! I have sound peace in knowing they are in charge of our compliance and IT as a whole. I would strongly encourage any business to consider Rouse for their IT needs! RCG is invaluable to our organization as a business partner. They are always very responsive to our needs and able to resolve any issues we have in an expeditious manner. I gladly recommend RCG as a valued partner for any business in need of IT support. Rouse is a great asset to the small to mid-sized employer to fill that gap to address the daily IT problems, while simultaneously developing the long term solutions! 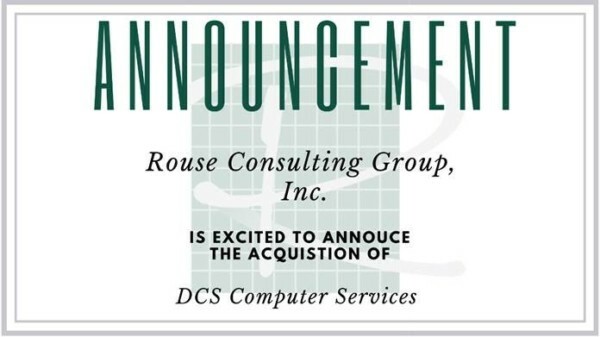 ROUSE CONSULTING GROUP, INC. ACQUIRES DCS COMPUTER SERVICES! Marriott reveals data breach of 500 million Starwood guests! IRS Issues Urgent Warning on Tax Transcript Scam!